The effect of the support nature (different carbons, aluminum oxide, mixed MgAl oxide) on the activity of palladium catalysts and on the reaction routes of aqueous-phase hydrogenation of furfural at a temperature of 423 K and a pressure of 3 MPa was investigated. The carbon-supported catalysts were found to be the most active, and almost complete conversion of furfural is achieved. In the presence of these catalysts, the reaction proceeds predominantly through two parallel water-involved routes depending on the nature of carbon support: catalysts supported on carbon nanoglobules are selective to 4-oxopentanal (selectivity up to about 63%), while catalysts supported on carbon nanotubes give mainly cyclopentanone (selectivity up to 57%). The palladium catalysts based on the oxide supports (γ-Al2O3, MgAlOx) are much less active in the aqueous-phase hydrogenation of furfural compared to carbon-supported catalysts, and complete conversion of furfural does not occur (only up to 55%). In the presence of catalysts prepared using basic support (i.e., MgAl oxide), there are no reactions involving water, and furfuryl alcohol and tetrahydrofurfuryl alcohol are the principal products. According to the results of catalyst characterizations, the revealed differences in performance of palladium catalysts are caused by the effect of the support nature on the formation and dispersion of supported Pd nanoparticles, as well as by the distinctions in the structure and acid–base properties of the supports. The online version of this article ( https://doi.org/10.1007/s11144-018-1505-y) contains supplementary material, which is available to authorized users. The authors thank Dr. Liudmila Stepanova and Olga Maevskaya for participation in the preparation of catalysts and in the potentiometric measurements, Dr. Rinat Izmailov for the analysis of the synthesized samples by ICP-AES, Sergey Evdokimov for his help with NMR measurements, and Dr. Alexey Arbuzov for providing the FTIR spectra of the supports. Besides, the authors are grateful to Dr. Vyacheslav Yurpalov for useful discussion of the catalytic results. 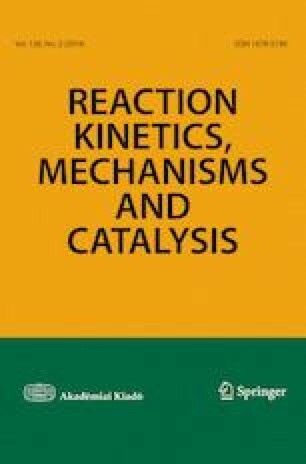 Characterization of catalysts and identification of reaction products were performed using equipment of the Omsk Regional Center of Collective Usage, Siberian Branch of the Russian Academy of Sciences. The work was supported by the Ministry of Science and Higher Education of the Russian Federation in accordance with the Fundamental Research Program of State Academies of Sciences for 2013‒2020, Subject V.47, Project No. V.47.1.3 (state Registration Number in the EGISU NIOKTR System: AAAA-A17-117021450099-9).